Ha Giang is the land of the Vietnamese ethnic minorities and flowers, so stopping at a homestay, enjoying their culture, and smelling the beautiful flower fields sounds like a great way to spend a few days, right? 300 kilometers from Hanoi, Ha Giang is famous for its rock highlands, terraced paddy fields, and colorful flower valleys. Each season, Ha Giang wears a different color. This province has not been urbanized much, so you can enjoy the untouched nature of this land. Recently, many locals started up the business of homestays. 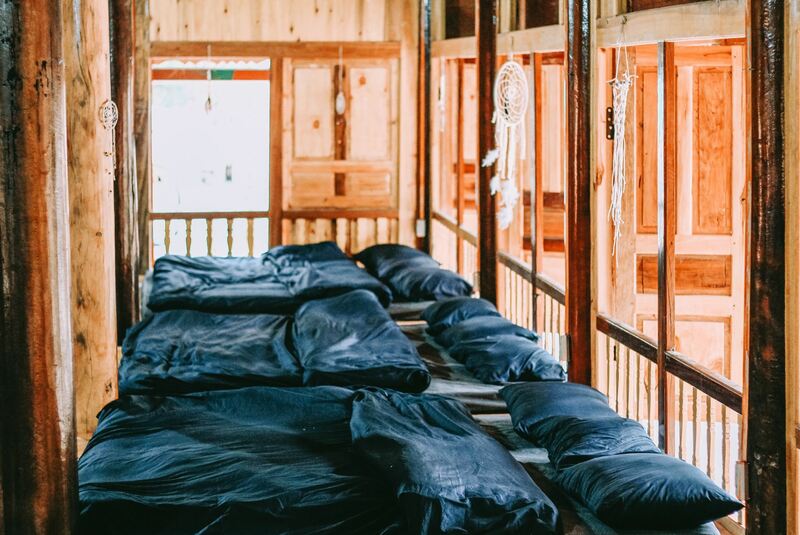 Visit and stay, you will not only have a place to sleep, but you will also gain a local family ready to rice wine and dine you. Here are some of the best homestays you can find scattered within the Ha Giang province. Find what is suitable for your journey. Auberge de MeoVac has another name which is Chung Pua, meaning on the stream side according to the H’mong language. 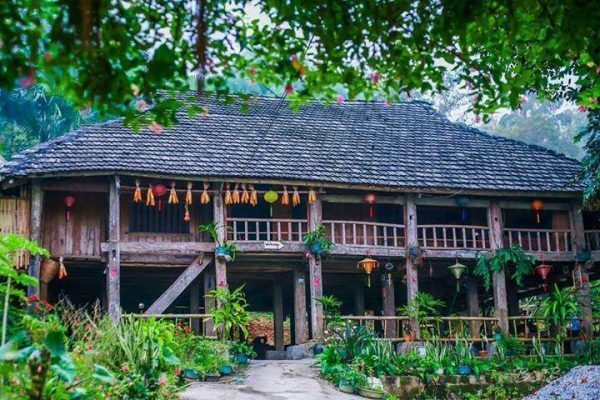 This homestay captures the characteristic architecture of the H’mong people with a double-tiled roof, earthen retaining wall, and Chinese fir wooden pillars. You can meet many H’mong people in this area and have a meal with them. Locals and travelers usually get around on foot, so it is very quiet here. Auberge de MeoVac is the best choice if you want to relax and avoid the noise of the city. The rooms are very clean, tidy, and smell good. This homestay offers double rooms and dorm rooms with the capacity of 13 to 25 people. You can enjoy the simplicity of the H’mong village as well as the beautiful scenery outside. In the yard resides a tea table. How about having a cup of tea and immersing in a book for a stunning afternoon? 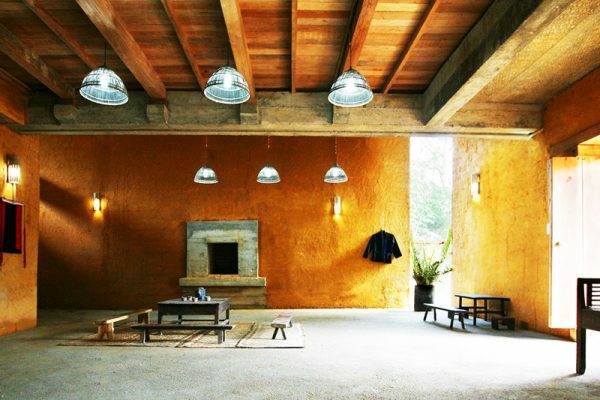 As its name suggest, Dao Lodge follows the architecture of the Dao people. This traditional homestay, however, is well equipped with modern amenities such as a television and water heater. It has a great location: on the mountain, covered by forest and terraced paddy fields. From the rooms you can see to the mountain peak and the lake. This area is of the Dao people, you can meet and converse with the locals and ask them to take you to visit their homes. The best part is you’ll have a chance to observe flocks of swallows living in the nests under the roofs. 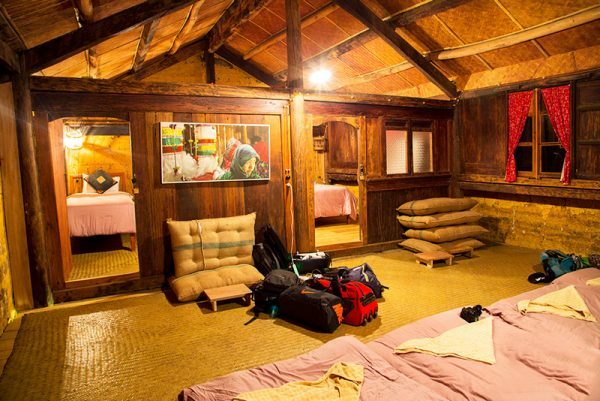 Dao Lodge provides five rooms including single rooms, double rooms, and a room for four people. In addition, there are common spaces like a kitchen and living room. You can also rent a bicycle from this homestay and ride around the area. The word ‘bui’ is from the phrase du lich bui, which means backpacking tourism. 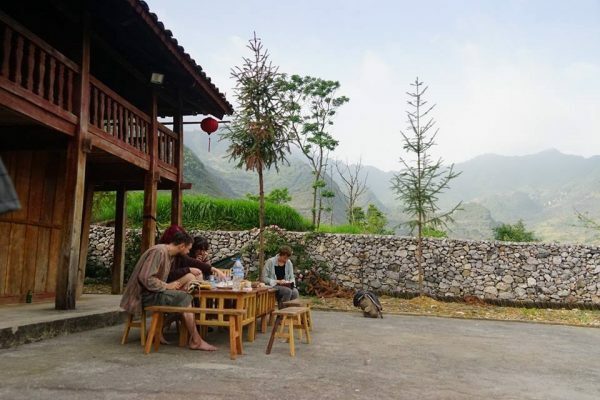 Bui Homestay is run by young backpackers and this is the heaven of backpackers coming to Ha Giang. The design of this homestay is very close to the traditional house of the ethnic minorities – nha san, which means house on stilts. Below the lodging, there is a small restaurant serving food and drink. 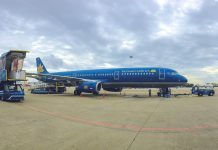 You can also access the Wi-Fi to surf the web or work. The yard here is very large, so you can have a barbecue or sit by the campfire and have a party all night long. 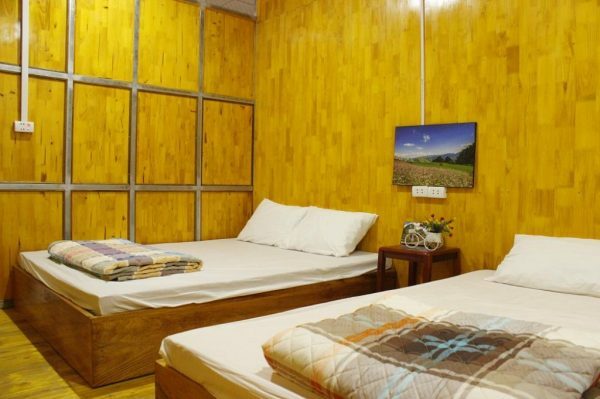 The rooms are equipped with a cable television and a computer, and they are very open: sunshine and wind can easily pass into the rooms, and every morning you wake up, the first thing you see is charming nature. However, keep in mind that this might be a cold option in the winter due to the open-air quality of the homestay. 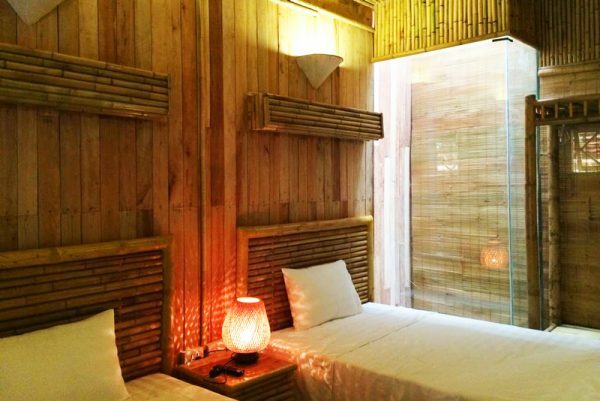 Ha Thanh Homestay is designed with the Tay people’s architecture in mind, characterized by a palm roof, wooden floor, and an aquarium. The service of Ha Thanh Homestay is always good with delicious food and drink, fresh air, and a clean environment. There is no private room at Ha Thanh Homestay, you have to stay in the dorms with other travelers and the owners. However, the house is kept clean and you can access basic conveniences. If you visit Ha Giang and stay at Ha Thanh Homestay in the spring, you will have a chance to enjoy the alluring landscape of the surroundings which is covered by flowers. In the morning, you can rent a motorbike from this homestay to wander around and enjoy the fresh morning, then go back and taste the unique food delivered by the Tay people. 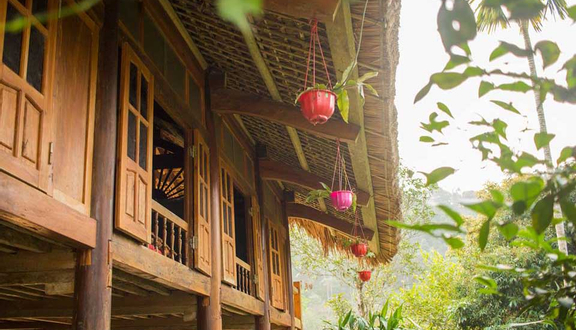 Kiki’s House differs from other homestays in Ha Giang because it doesn’t follow any ethnic architecture. Kiki’s House is located in Ha Giang city center, so you can easily access other services in this city as well as explore Ha Giang city. The design of Kiki’s house is quite simple with the theme color of warming yellow. Each room is equipped with an electric fan, dryer, wardrobe, and wireless connection. There are two types of rooms for you to choose: dorm and double rooms. 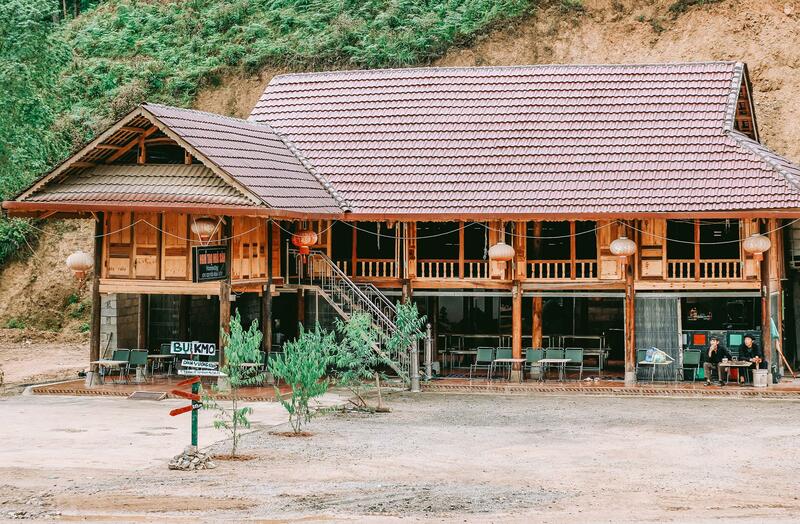 The ground floor of Kiki’s House is a famous coffee shop of Ha Giang city, attracting both locals and foreigners. Order a drink, sit down and watch the busy street. Tay Homestay is just four kilometers away from Ha Giang city center. It is located in the Tay cultural complex and very suitable for relaxing and experiencing the culture here. You can rent a bicycle and ride to the city center for visiting and shopping. 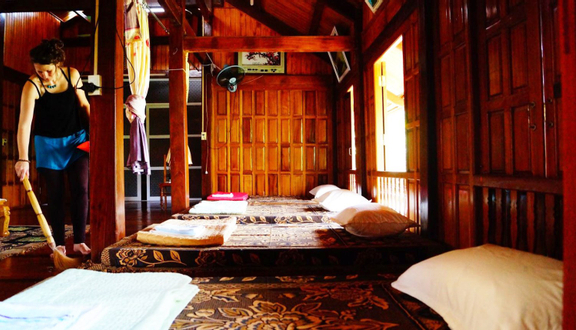 Tay Homestay will help you explore the specialties of Tay people such as their architecture, living style, and food. This homestay allows you to pick the vegetables yourself in its garden and make your meal. You can also taste the traditional dishes like fried pork in bamboo tube, stir-fried grass carp, sour soup with fish, colored sticky rice, and banana cake. In the evening, you can enjoy the traditional melodies and songs of the Tay people. 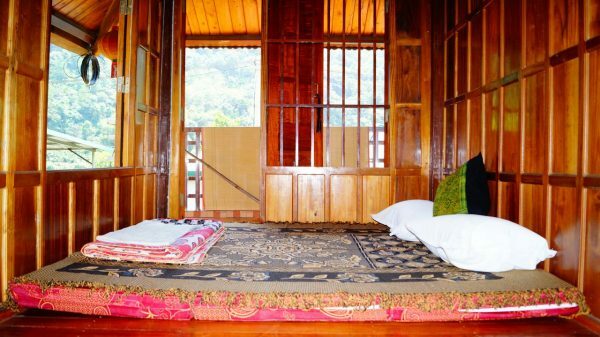 Notice: Tay Homestay doesn’t allow men and women to sleep together both in a shared room or bed, even if the couple is married. You can really be a jungle-man or woman when you stay at Jungleman Homestay. It’s not about the way you live and eat, but your knowledge about the jungle and the mountain. This house is simply decorated and made mostly of wood. The owner not only offers essential amenities, but he will tell you interesting stories about the area. Jungleman Homestay also offers tourist packages to discover the area and Ha Giang province with a reasonable price. Feel lost in the jungle without actually being lost. In Tuy Village, there are many households offering homestay services. 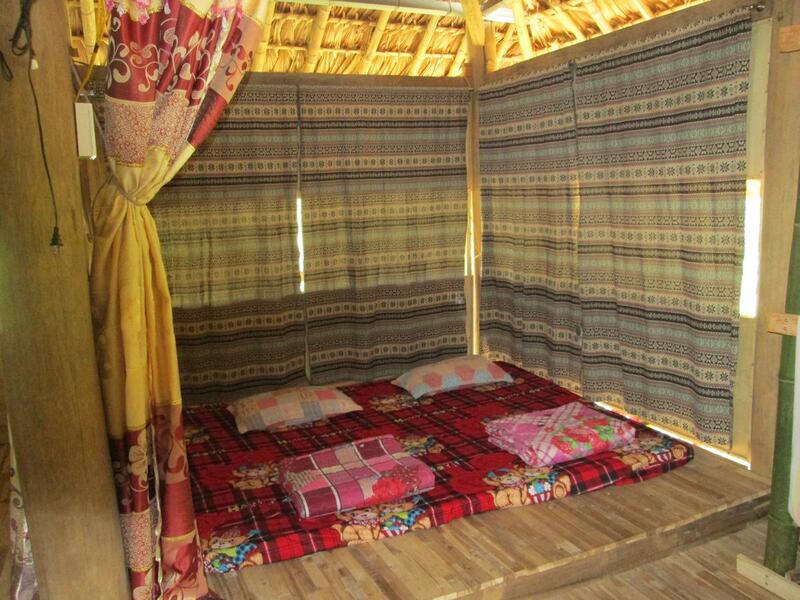 However, you can only experience the real culture and customs of Tay people when you stay at Ban Tuy Homestay. This homestay is very large, so it’s suitable for groups of friends. You can also experience the activities with locals such as fishing, harvesting, climbing terraced paddy fields, weaving fabric, and cooking. 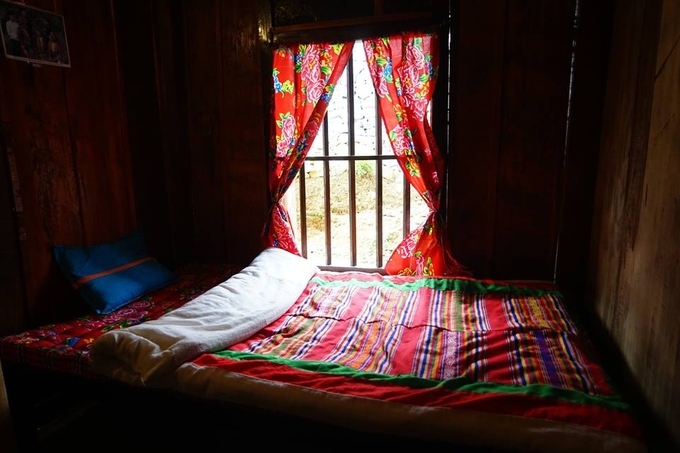 Beds in Ban Tuy Homestay are separated by curtains. A married couple can sleep together, but an unmarried couple has to sleep in different beds. Tho Homestay is about 70 kilometers away from Ha Giang city, located in a village of the Tay people. This house is shaded in trees and paddy fields. 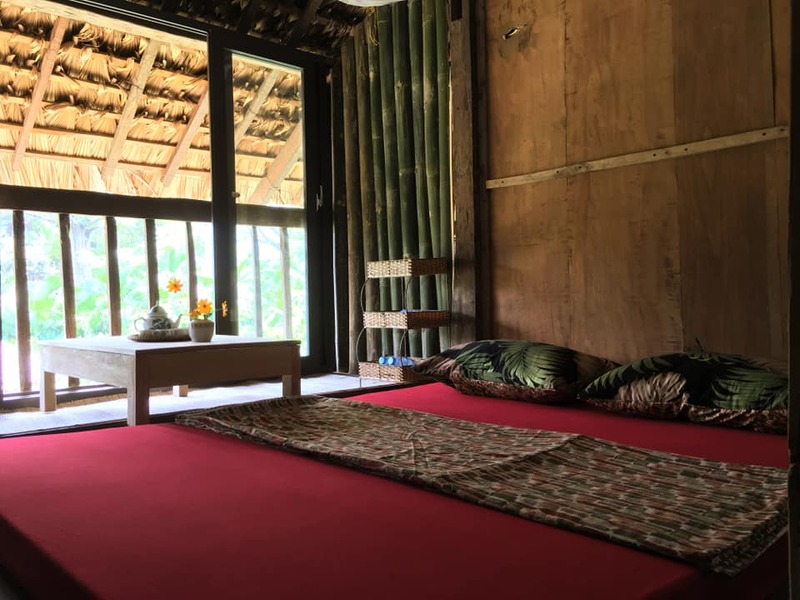 The owner of Tho Homestay is Hoang Duc Trung, a young entrepreneur with a desire to restore traditional values and introduce the local culture to the world. 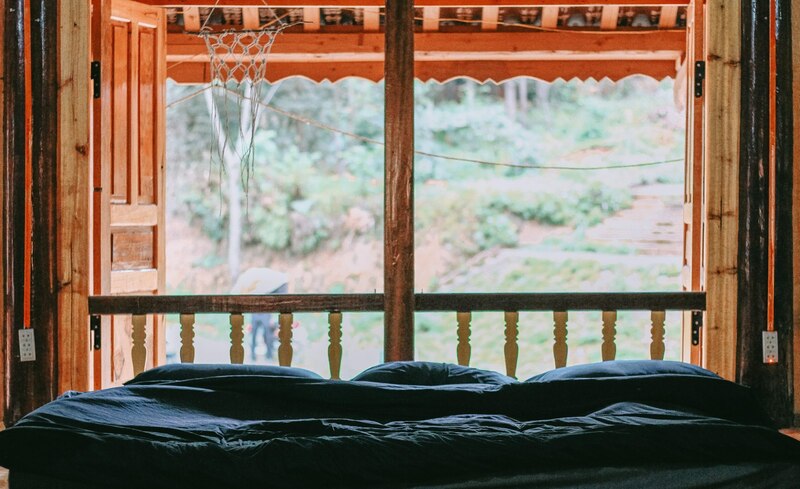 You will not only enjoy the relaxing rooms of Tho Homestay, but also experience activities with locals such as fishing, farming, picking tea leaves, and discovering the jungle. 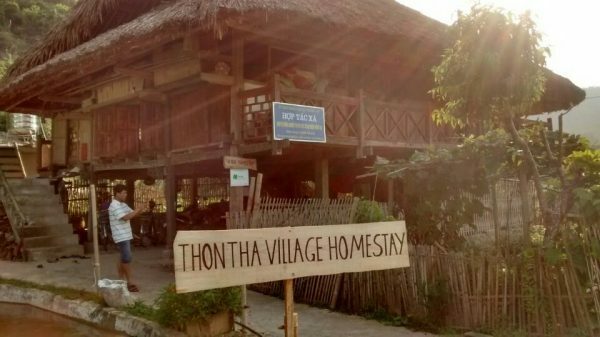 Thon Tha Homestay is an ideal place for you to stop because it is located near Ha Giang province center, you can easily reach other tourist attractions from here. 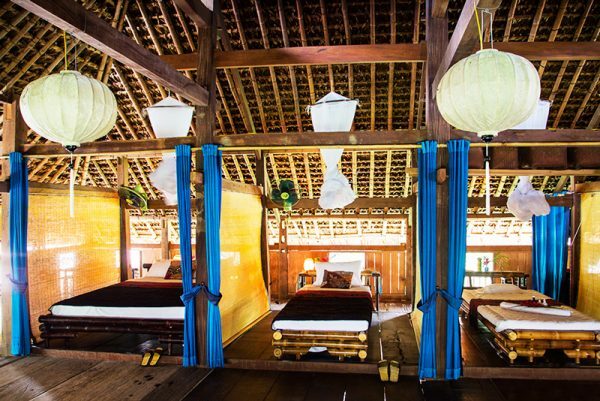 You will sleep in houses on stilts, the characteristic house of ethnic minorities. The purpose of this kind of house is to avoid the assault of wild animals. In the past, people had to live with them, so far it has become a tradition of the highland people. 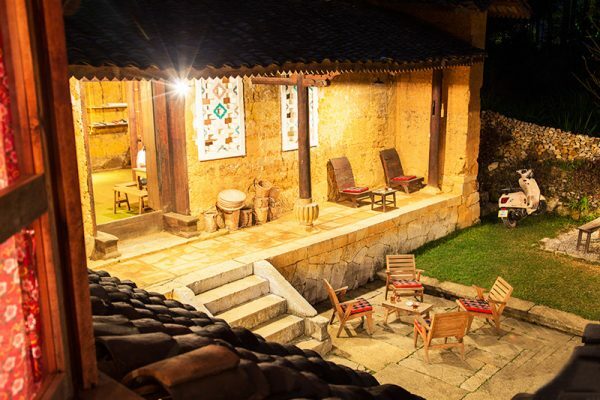 This homestay was reconstructed from the cultural house of the Lo Lo people. The first floor has a large common space and single rooms, the second floor is comprised of two common bedrooms. Lo Lo Homestay has a spacious yard covered in flowers. You can sit in the shade, drink a cup of tea, and enjoy the wonderful beauty of nature’s gift. The house capacity is up to 30 people. This place usually puts on cultural activities of the Lo Lo people such as festivals, drinking wine, and singing. Homestay Ban Chang is near Ha Giang city bus station. 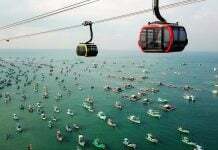 It has a large area which can serve more than 60 people at a time. Travelers love the fresh and clean space, and the delicious food. You can easily reach many points of interest in Ha Giang from Ban Chang Homestay such as the rock highland, terraced paddy fields, Dong Van geological park, and the Vietnam – China border. This homestay also offers to wrap the gifts that you purchase in the area for people back at home. Dong Que Homestay has received many five-star ratings from travelers because of its surrounding scenery and people. 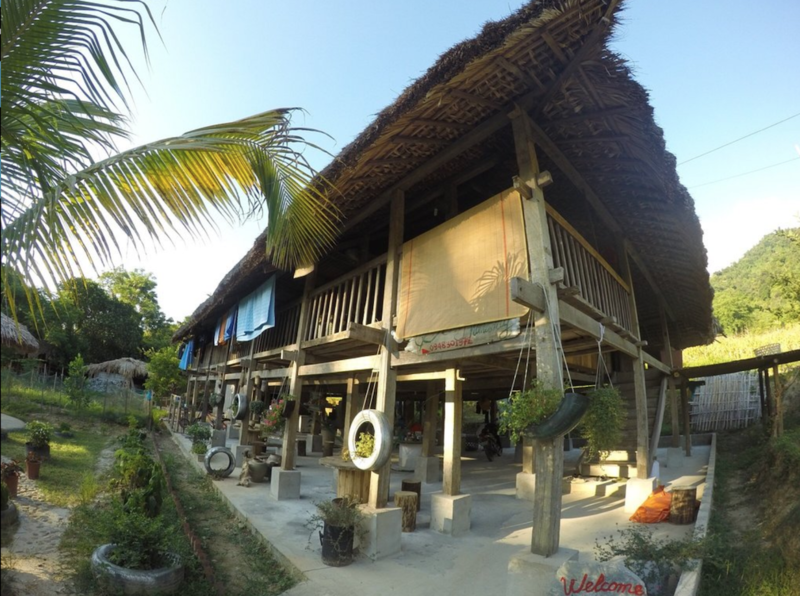 This homestay is colored by the palm forest and the warm hospitality of the owners. Dong Que means the countryside, and the owners really help you experience life in the countryside of Vietnam. You can pick the vegetables and cook your meal, or you can help the locals lead the buffaloes to the meadow. 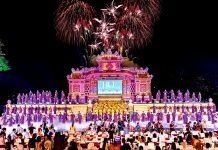 You will also have a chance to watch the festivals of the ethnic minority people and listen to their songs.